Today I would like to showcase the “Avicularia” outfit, one of our original mesh designs for this years spooky season. The dress has high open front, and a long flowing back skirt. 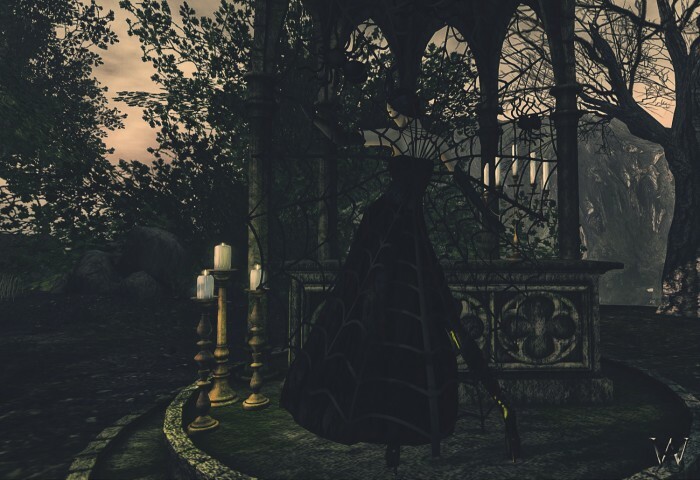 The gloves, all the spider attachments and the huge spider web in the back are part of the outfit. The gloves fit the regular avatar and as well we included Slink hands applier for all those who love their mesh Slink hands. To be honest I can’t live without them anymore. 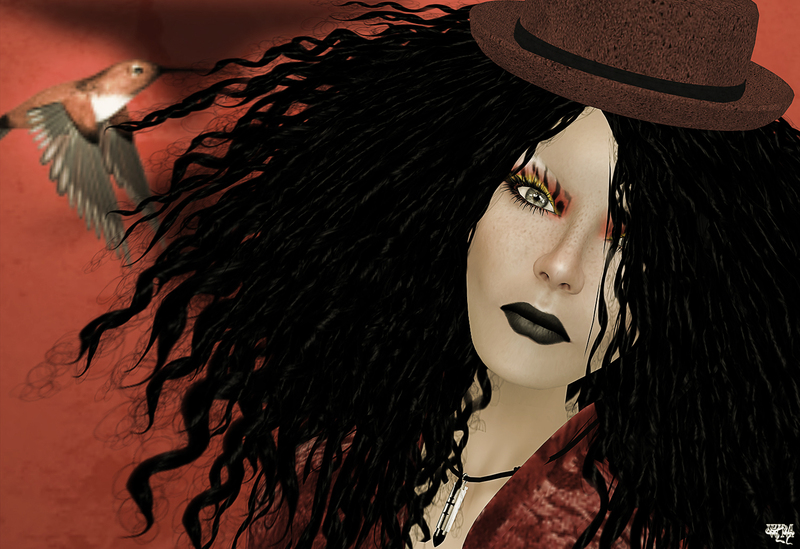 The amazing “Myostola” headpiece is another new release at Wicca’s Wardrobe. The headpiece covers nearly the whole head and with the 2 horns it really makes a strong statement. The headpiece is available in 2 different versions. Once with and once without the spider web and the little spider between the horns. For each of the 3 colors you always will get 2 different pieces per box. with a vice versa color combination like black/grey and grey/black for example. To complete the look we created the “Grammostola” necklace. The collar is inspired by a spiderweb as well and has one little spider sitting at the front left. To add some more to the look we tried to create some matching makeup too. I have to admit, it looked way more easy than it was and I do not see my future in that*giggles. Anyways, for this outfit I tried to make a spiderweb for the right eye, an eyeliner and lipstick matching to the basic color of the dress.